The 360 N5S comes with a 2.5D glass on both the front as well as the back with an aluminum alloy frame to keep things sturdy. 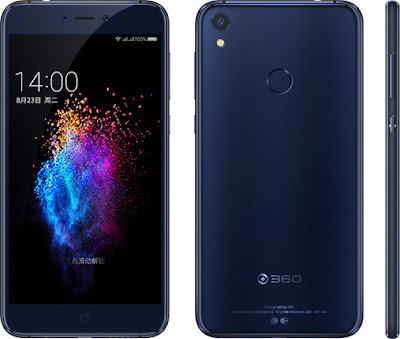 It has a 5.5-inch Full HD Display powered by Octa Core Snapdragon 653 Processor with 6GB of RAM and 64GB of internal storage expandable up to 128GB with MicroSD card. On Camera, it has a 13MP +2MP Dual front facing camera. The secondary sensor is responsible for the additional depth of field data to ensure you can capture good looking selfies with background blur. The presence of PDAF (0.1s focus) on the front camera setup should further ensure a clear and focused shot. It has a 13MP Rear camera with f/2.0 sensor.